Sunscreen roller blinds provide modern homes with a chic, minimalist look that is perfectly suitable for anyone who loves having simple yet elegant décor. It is one of the easiest ways to beautify your home, and sunscreen roller blinds will protect your home interior from the blazing sun, whilst helping you to reduce energy consumption as well. There are endless benefits that you can get from high quality sunscreen roller blinds like our most highly sought after Mermet fiberglass range. 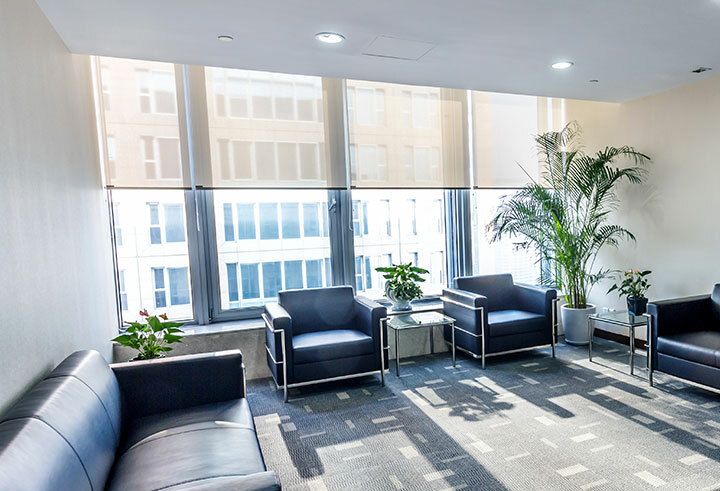 Mermet is one of the most prominent fabric manufacturers and they produce all kinds of sunscreen roller blinds with over 180 colours and a choice of either transparent, dim-out or total blockout fabric. The amazing quality of sunscreen roller blinds made with Mermet fabric gives you a spacious and airy feel to you room(s) whilst keeping out about 89% to 94% of UV rays, protecting your carpet and furniture. Most importantly, these sunscreen roller blinds will also help you reduce energy consumption by up to 33%. Our vast range or top quality sunscreen roller blinds also come in other fabrics like the Solar View, which is constructed of a polyester core with PVC coating. This makes it an extremely high performance sunscreen roller blind range that will definitely protect and beautify your home. Personalise your own sunscreen roller blinds! All our sunscreen roller blinds come in a choice of plastic or metal control chains, aluminium base rail which can be made in white, beige, white birch, black or anodized being our most popular choice. We are proud to use high quality Acmeda Australian components on all our sunscreen roller blinds. All Interior Illusions sunscreen roller blinds are manufactured in heavy duty tube for any blinds over 2110mm, and super heavy duty tube if it’s over 2710mm.